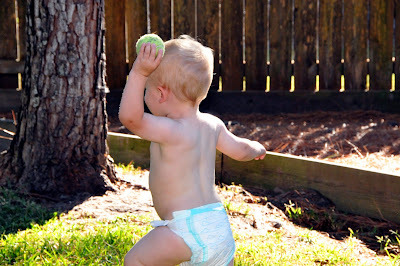 Jackson played catch with Schuley before the carving. 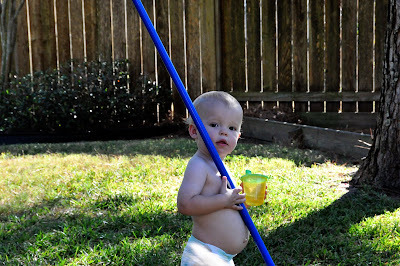 Then, he swept the yard with the broom while clutching the sippy cup. Look at that belly! 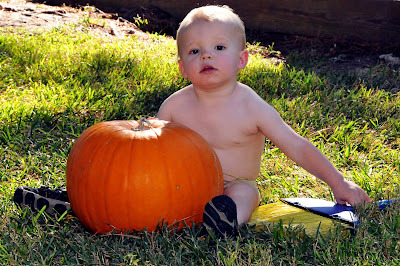 We finally got him to sit with the pumpkin, but he still wouldn't let go of that broom. 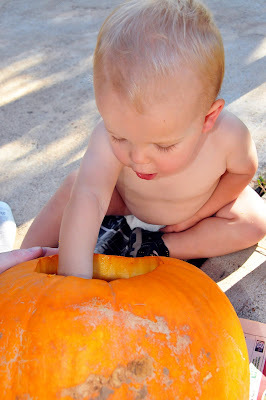 Finally, he's into the carving! In this picture he is, but not normally. Love the smurf carving. 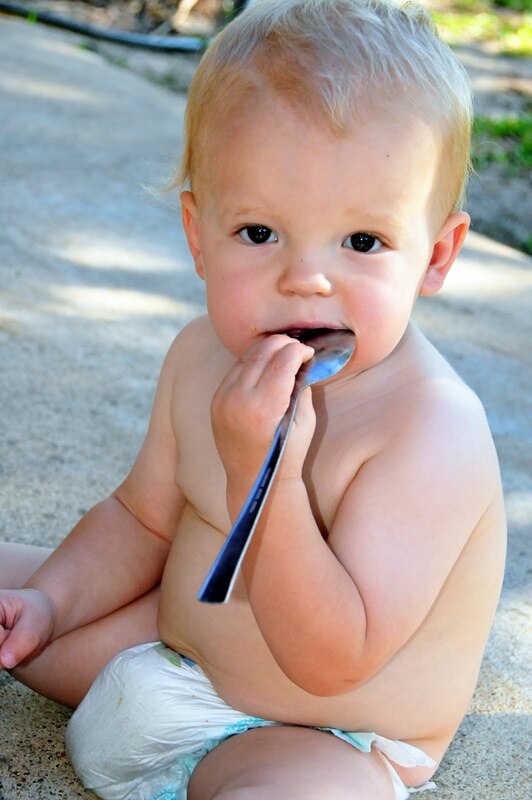 And the photos of Jackson, of course. 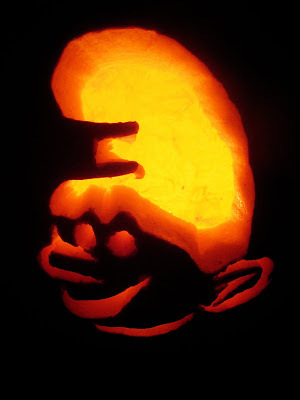 Of course it has to be a smurf pumpkin. So perfect.